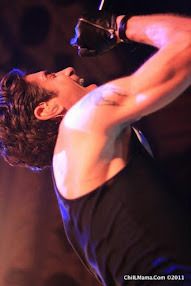 ChiIL Live Shows: REVIEW: Teatro Vista's La Havana Madrid To Play Goodman's Owen Theatre 7/21-8/20! REVIEW: Teatro Vista's La Havana Madrid To Play Goodman's Owen Theatre 7/21-8/20! Get tickets now for Teatro Vista's La Havana Madrid—starts July 21! Here at ChiIL Live Shows, we had the great pleasure of catching opening night at Steppenwolf and highly recommend La Havana Madrid! This is not only a compelling collection of immigrant stories, but a stellar slice of Chicago history and a moving commentary on community. It's easy to forget how difficult it is for displaced people to find a home in a foreign land, learn a strange language and culture, and make new friends after loss and separation, and this production is a poignant and powerful reminder. We were enthralled with Sandra Delgado's writing and her soaring vocals as this multifaceted performer takes center stage and bring her own script to life. Through talented musicians, song, dance and spoken word, La Havana Madrid brings back a bygone era and a message that is all too timely today. This is an absolute must see. July 21 - August 20. Chicago’s legendary 1960s nightclub comes bursting back to life in a "heartfelt and fascinating" (Chicago Tribune ) musical celebration of the city’s Latino community. Step back in time and into La Havana Madrid, the long-gone Caribbean night club that drew throngs of newly-arrived Latinos to the city’s north side. Inspired by real stories, this intimate recreation of the vibrant music venue immerses audiences in the pulsing sounds of live mambo and salsa. Don’t miss it! 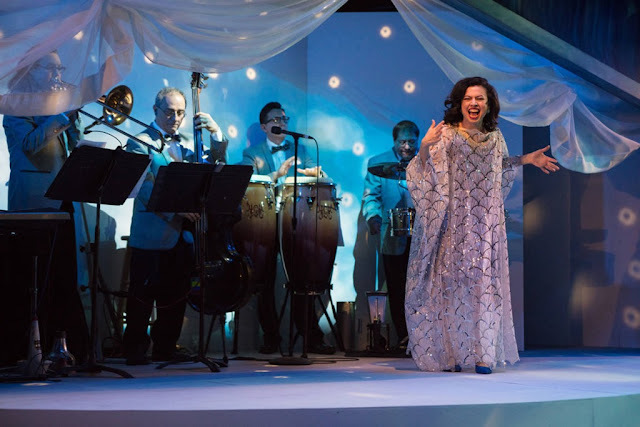 On the heels of critically-acclaimed sold-out runs at Steppenwolf Theatre Company and The Miracle Center in Logan Square, Teatro Vista’s La Havana Madrid by Sandra Delgado extends its run at Goodman Theatre this summer, July 21 – August 20. Chicago’s fabled 1960s nightclub, La Havana Madrid, comes bursting back to life in “an immersive, wholly enjoyable experience” (Chicago Reader) complete with live music and “enough dancing and bonhomie to tempt you away from your little table down front” (Chicago Tribune). 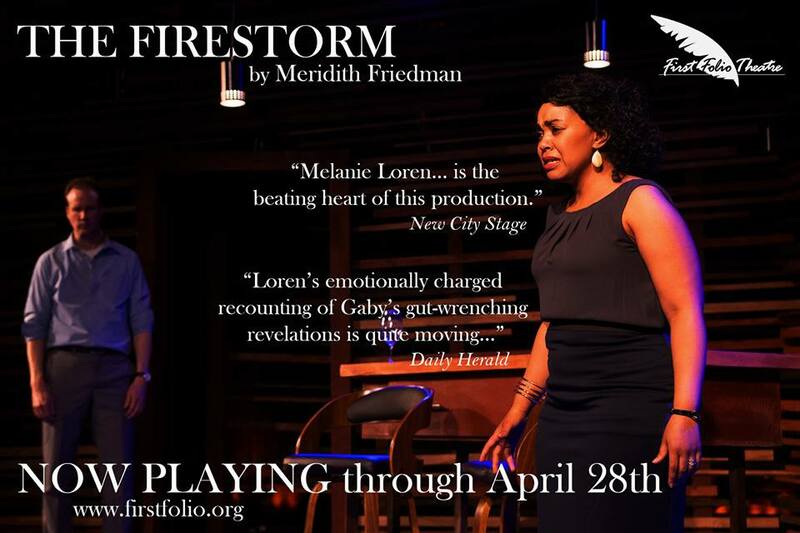 Directed by Teatro Vista ensemble member Cheryl Lynn Bruce, the production was inspired by true stories of Cuban, Puerto Rican and Colombian immigrants who found refuge in the nightclub. 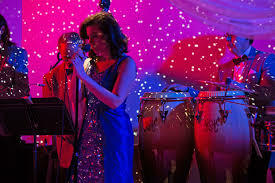 Delgado leads the eight-member cast (a full list appears below) as a mystical woman who conjures stories and vibrant songs performed live onstage each night by Colombian-American musician Roberto "Carpacho" Marin and his band of 30 years, Carpacho y Su Super Combo. La Havana Madrid appears July 21 - August 20 in the Owen Theatre (Opening Night is Wednesday, July 26 at 7:30pm). Tickets ($30-$50; subject to change) go on sale Wednesday, June 28; visit GoodmanTheatre.org/LaHavanaMadrid or call the box office at (312) 443-3800. La Havana Madrid is recommended for ages 12 and up. 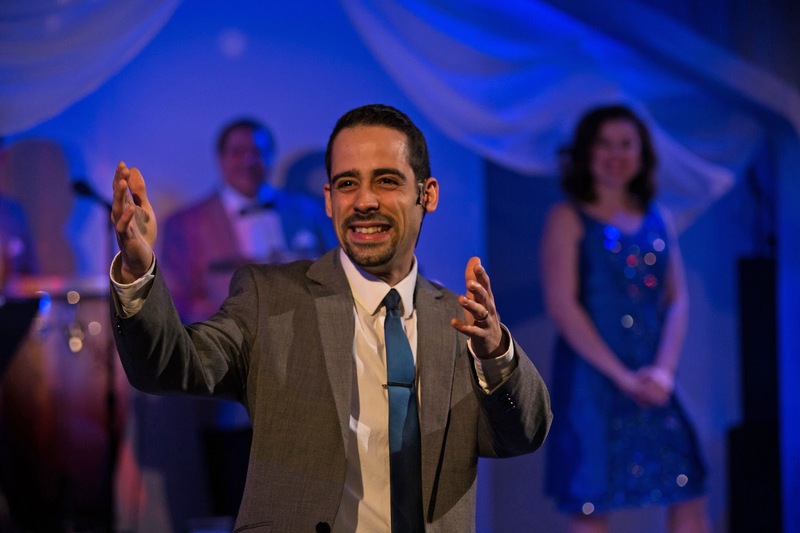 In addition to Delgado, the eight-member cast also includes Teatro Vista ensemble members Tommy Rivera-Vega and Marvin Quijada; and newcomers Mike Oquendo, Donovan Diaz and Krystal Ortiz, who round out the cast as Cuban, Colombian and Puerto Rican patrons, staff and musicians who all met, danced, loved and lost at La Havana Madrid. Original cast members Cruz Gonzalez-Cadel and Phoebe González are unable to continue with the production and their roles are being recast for the Goodman remount. 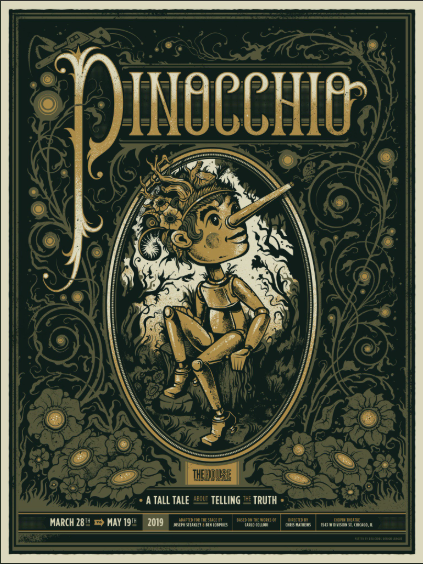 The design team includes Ashley Woods (set), Elsa Hiltner (costumes), Heather Sparling (lights), Mikhail Fiksel (sound), Liviu Pasare (projections and video design) and William Carlos Angulo (choreography). In the late 1950s and throughout the 1960s, Latinos from Caribbean countries such as Puerto Rico and Cuba settled all along Chicago's lakefront, from North Avenue to Devon. Although from different countries, music brought them together. Their shared rhythms—African rhythms—became the guaguanco, the mambo and the merengue. Now in the United States, these rhythms merged with traditional big band sounds and eventually became salsa. On the North side of Chicago, a handful of Latino music clubs opened up: Coco Loco on Lincoln Avenue, The Mirror Lounge on North Avenue and La Havana Madrid on Belmont and Sheffield. Luis “Witto” Aloma, a Cuban-born player for the Chicago White Sox, opened the club in the early 1960s to create a place for his Cuban friends to drink coffee and play cards and dominoes. Along the way, La Havana Madrid grew into a more lavish supper club with live Cuban musical acts, before it changed hands and Puerto Rican TV and radio host took over the club. La Havana Madrid closed in the late 1960s and later became the popular folk club The Quiet Knight. Today, the same second floor space is occupied by Milio’s Hair Studio. Teatro Vista’s 2017/2018 season opens with The Goodman Theatre remount of La Havana Madrid. Teatro Vista produces, develops and commissions plays that explore the wealth and variety of the human experience from a Latinx perspective. The company provides work and professional advancement opportunities for Latinx theater artists, with special emphasis on the company’s ensemble members, and seeks to enhance the curricular goals of Chicago students through theatre. Teatro Vista was recently celebrated as one of “Chicago’s Cultural Leaders” by the Arts & Business Council of Chicago and received the League of Chicago Theatre’s Artistic Leadership Award. For the development of La Havana Madrid, Teatro Vista and Delgado received from The Chicago Community Trust, and the 2015 Joyce Award. Delgado also received a 3Arts 3AP Project Grant and developed the script as a member of the 2015/2016 Playwright’s Unit at Goodman Theatre. Teatro Vista is supported by The Joyce Foundation, the Chicago Community Trust, Alphawood Foundation, Paul M. Angell Family Foundation, The MacArthur Fund for Arts & Culture at the Richard H. Driehaus Foundation, Bloomberg Philanthropies, the Department of Cultural Affairs and Special Events of the City of Chicago, The Shubert Foundation, The Gaylord and Dorothy Donnelly Foundation, the Chicago Latino Theater Alliance, Purple Group, Cumberland Irving and Vidal & Associates, Inc. and The Saints. For more information, visit TeatroVista.org, on Twitter (@TeatroVista), Facebook and Instagram. The 2016 opening of the Alice Rapoport Center for Education and Engagement (“the Alice”) launched the next phase in the Goodman’s decades-long commitment as an arts and community organization dedicated to educating Chicago youth and promoting lifelong learning. Programs are offered year-round and free of charge. Eighty-five percent of the Goodman’s youth program participants come from underserved communities. Goodman Theatre was founded by William O. Goodman and his family in honor of their son Kenneth, an important figure in Chicago’s cultural renaissance in the early 1900s. The Goodman family’s legacy lives on through the continued work and dedication of Kenneth’s family, including Albert Ivar Goodman, who with his late mother, Edith-Marie Appleton, contributed the necessary funds for the creation of the new Goodman center in 2000.